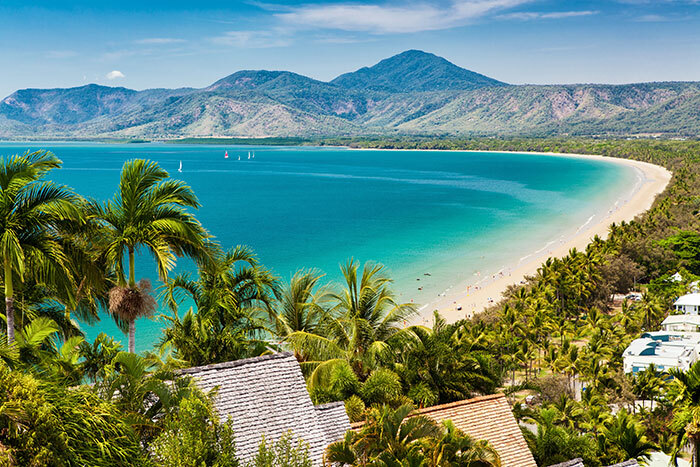 Cairns is well known amongst travellers as one of the best places from which to visit the Great Barrier Reef, the world’s largest coral reef system, but for many visitors to Far North Queensland, that’s all they’ll ever see. As spectacular as it is, there’s so much more to Cairns than just the Great Barrier Reef, and this unique city at the top end of Australia’s east coast has a lot more to offer besides coral reefs and snorkelling, from epic waterfalls and crocodile-infested rivers to bustling markets and scenic railways. Here are the best places to visit in Cairns that aren’t the Great Barrier Reef! 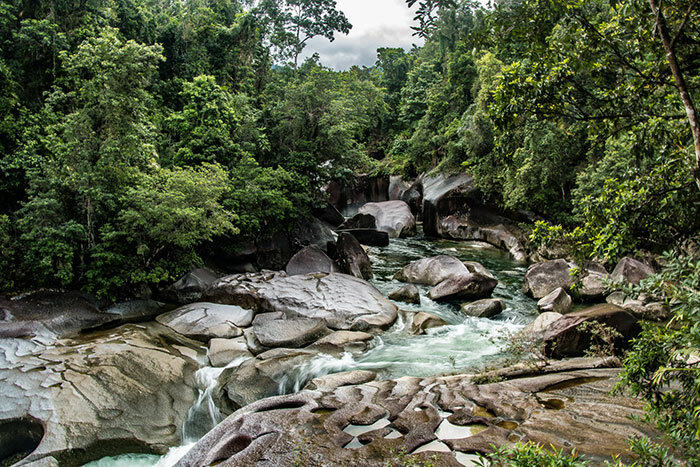 The Babinda Boulders are a little-known sight an hour down the road from Cairns that will leave you absolutely awestruck. 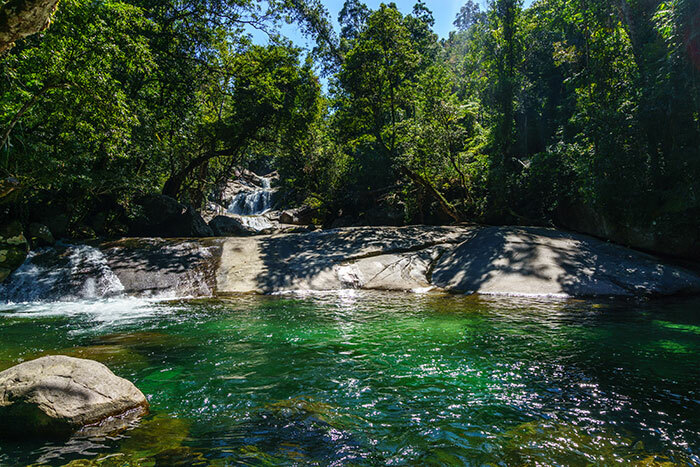 Tucked away under the shadow of Mount Bartle Frere, Queensland’s tallest mountain peak, the Babinda Boulders are a truly magnificent collection of granite rocks that have been smoothed and rounded over time by the crashing water of the Babinda Creek. At the top of the boulders, you’ll find a natural swimming pool - which as a bonus is crocodile free! - and you’ll find the crystal clear water to be perfectly refreshing in the humidity. Walk along the boardwalks that follow the creek, and you’ll soon see the Babinda Boulders themselves, as they straddle the river and create huge waterfalls. It’s certainly a sight to behold. Carry on just a little bit further south from the Babinda Boulders, and hidden away in the rainforest is one of Queensland’s most photogenic waterfalls. This three-tiered waterfall is surrounding by lush vegetation and shaded by the forest canopy which rises high above, and the smooth rocks that connect each level have become natural waterslides, turning this into what is an awesome, natural waterpark. You can walk through the rainforest to the viewing points at each level, but then when it all gets just a little too humid and hot, you can jump into the swimming pools. Just be careful if it’s rained heavily in the days before your visit, because if it has, then the swimming pools can be prone to flash floods, so take heed of any warnings that might be about. 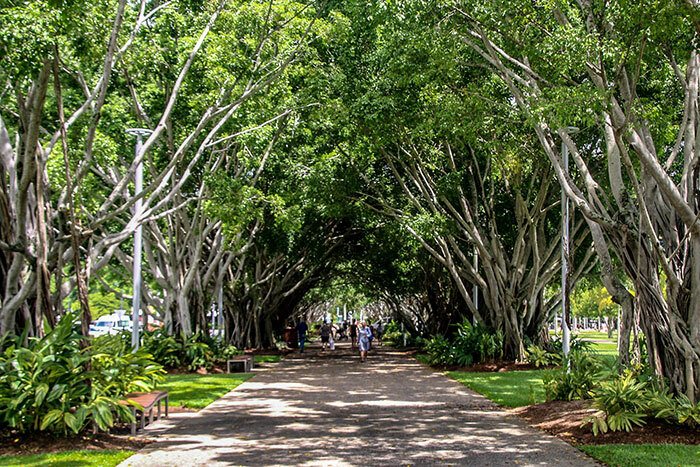 In Cairns, you have a fantastic Esplanade and a refreshing Lagoon, right in the city centre. Only in tropical Australia will you find a free public swimming pool that’s open to anyone in the heart of the city, and locals and visitors alike love the refreshing water of the Cairns Lagoon. Stroll along the Boardwalk, looking out over the mudflats of the harbour and enjoying the local entertainers that are always found here, and then cool off with a dip in the Lagoon. It’s the Cairns way of life, and it’s fantastic. Cairns is home to wonderful markets and in the evenings, they are a great place to shop, eat and even drink after a hard day of exploring. Opposite the Esplanade, in the city centre, you’ll find the iconic Cairns Night Markets, which are open every night, all through the year. Here you can find souvenirs from the local area, but best of all is the food court, which offers the best bargain eats in the city. Mostly consisting of Asian inspired eateries, you grab a plate or a takeaway box and pile it up with as much food as you can, before grabbing a few cheap drinks from the bar. Rusty’s Markets are another classic Cairns marketplace, but they are only open over the weekends, from Friday morning through to Sunday evening. Here you can find local market stalls selling produce from around the area, antique stands and plenty of great food too. In the mountains to the north of Cairns, can be found the charming community of Kuranda and the epic sight of the monstrous Barron Falls. Getting to Kuranda is half the fun of a trip here, as from Cairns you can either take the Skyrail, a cable car which flies you up and over the rainforest, or you can take the winding Scenic Railway, which slowly chugs its way to the top of the mountain. Kuranda is home to vibrant markets and museums, but the best attraction is the waterfall. Barron Falls rises to a height of 125 metres, and although during the dry season the water can be reduced to just a trickle, if you visit after heavy rains, you’ll be mesmerised by the force of the water crashing over the rocky precipice. Port Douglas is a great little town on the coast of Far North Queensland, just to the north of Cairns. It’s much smaller than Cairns but also much quieter, and you can even travel out to the Great Barrier Reef from here, to parts of the coral that few others reach. You can enjoy the laidback vibes, relax on the pristine beaches, and at night, you can even join in the strange local tradition of Cane Toad Racing at the Iron Bar in Port Douglas. Mossman Gorge marks the start of the ancient Daintree Rainforest to the north of Cairns and it makes for an excellent day trip. Here you can hike through the pristine rainforest, cross over wide creeks on swaying suspension bridges and watch out for wildlife in the bush. Mossman Gorge is the traditional home of the Kuku Yalanji people, and a great way to experience the area is to join a Dreamtime Walk, where a local will regale you with the aboriginal legends and history of the rainforest, giving you a cultural insight like no other. Carry on north from Mossman Gorge and you’ll reach the wide Daintree River and the heart of the Daintree Rainforest. This UNESCO World Heritage Site contains the most ancient rainforest in the world, and it’s an exceptional place to explore. 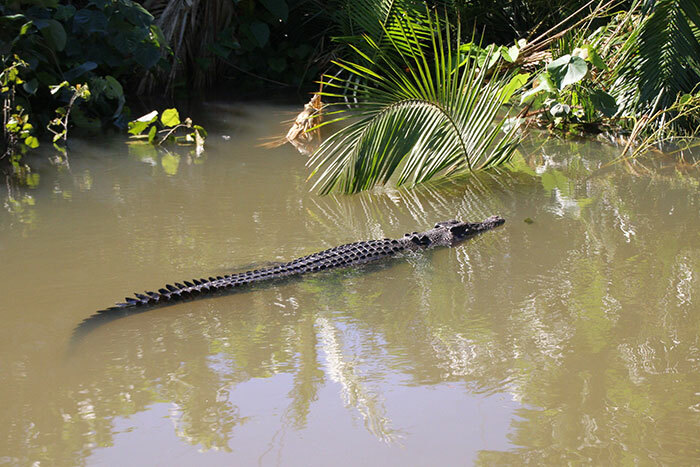 The Daintree River is the territory of large numbers of fearsome crocodiles, and although it’s not the place for swimming, it is the place to join a local boat captain for a cruise along the water. They know exactly where to find the crocs, and have even named most of them and can distinguish them by sight. 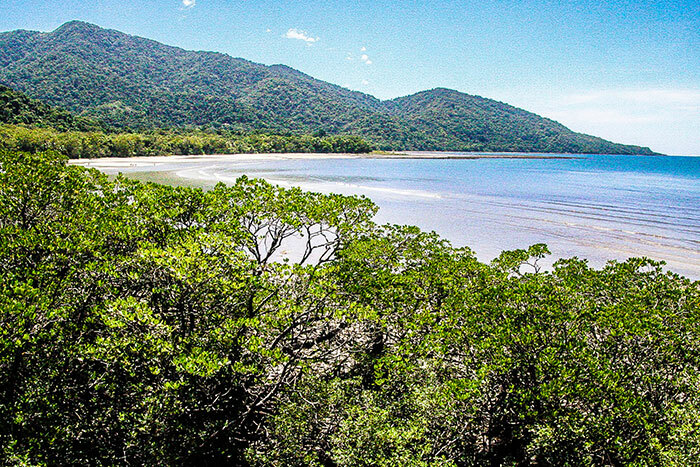 Across the Daintree River, you can visit the beaches of Cape Tribulation, where Captain Cook ran his ship aground in his voyage along the east coast of Australia, you can trek through boardwalks in the rainforest and even enjoy a refreshing dip in crocodile free swimming holes. You can escape the sweaty humidity of Cairns by travelling inland, up into the cooler climes of the Atherton Tablelands. This rural area is home to small villages and towns, where farming and agriculture are the main industries. You can call in at local dairy farms to try some local cheeses, stop off at chocolate shops and friendly cafes, and you can visit the unusual volcanic lakes that the Tablelands are famous for. 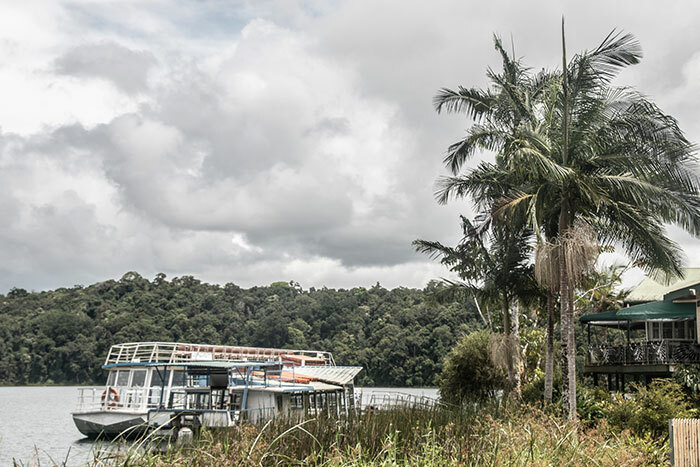 The best two lakes to visit are Lake Eacham and Lake Barrine, where you can find a diverse ecosystem centred around the water-filled craters that formed millennia ago. Fitzroy Island is just a 45-minute fast boat ride away from Cairns, and although it’s a well-known resort island, with a large hotel and a few restaurants and bars, it’s also home to the most important turtle rehabilitation centre in Queensland. The Cairns Turtle Rehabilitation Centre takes in ill and injured turtles from all along the Queensland coast, and with the help of volunteers, it nurtures them back to good health, before - when possible - releasing them back into the wild again. You can join a guided tour of the facilities, meet some of the magnificent turtles being cared for, and then afterwards, you can snorkel off the beaches to find a few rehabilitated turtles swimming amongst the coral reefs. Flight Centre has a huge range of Cairns holidays to choose from – speak to one of our Travel Experts today, to book your tailor-made Journey to Queensland.